Whether your small business is just setting up shop or you’re looking to integrate and redefine your company’s relationship to software products, it’s time for small businesses to pursue the benefits of the Software as a Service (SaaS) revolution. SaaS is a scalable alternative to traditional software that’s changing the way we buy and use our most important programs. Here’s why SaaS can take your business to the next level. Your office needs all kinds of things to be successful – proper lighting, plenty of USB hubs, maybe some standing desks – but don’t let all of the physical tools you need overshadow the potential of the cloud. Today you’ll rarely purchase physical copies of software. Rather, you subscribe to software services that provide the tools you need, such as web statistics tracking or customer relationship management (CRM). 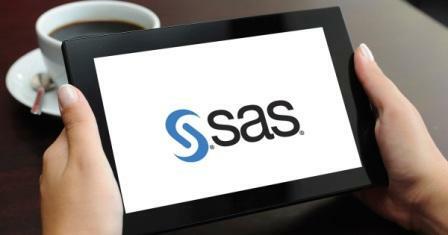 By purchasing SaaS, your business gains significant flexibility. Rather than having to purchase individual software licenses for each user, SaaS tools often allow you to purchase access within a range of users.You also can stop worrying about future software upgrades – upgrades are included in the subscription, as is maintenance. This set-up reduces overall initial investment costs in a software, and cuts costs in the long term. Does your business plan to be small forever? Maybe you’re invested in a small, community model – or maybe you hope to grow into a larger corporation or your product will be so popular that user demands require you to grow. Because growth should always be a possibility, and because your company shouldn’t be penalized for growing, it’s important to choose scalable office solutions. It’s one thing to buy more desks and another to have to choose a new software platform or migrate all your data because your company is growing. Scalability is the secret to SaaS’s success in the modern marketplace. Choosing scalable solutions allows your business to expand without worry. Buy a bigger access package and feel secure that your whole staff has access to all the information and tools they need. Another way that SaaS benefits your small business is by offering greater flexibility in terms of work environment. Since the tools and data are typically stored in the cloud, staff can work from anywhere. Want to allow workers to telecommute part of the week or is someone with vital skills located across the country? With SaaS it doesn’t matter. Remote working is easily accomplished through cloud connectivity. Make a change anywhere and the whole team has access instantly. SaaS was designed for the modern work environment, one that can change and grow rapidly and that relies on flexibility. By opting for cloud-based solutions to your business’s needs, your business also builds ongoing vendor relationships that grow with you – and strong vendor relationships may just be the last secret to business success. Find vendors and software you trust and grow together. That’s the new modus operandi of the small business world.